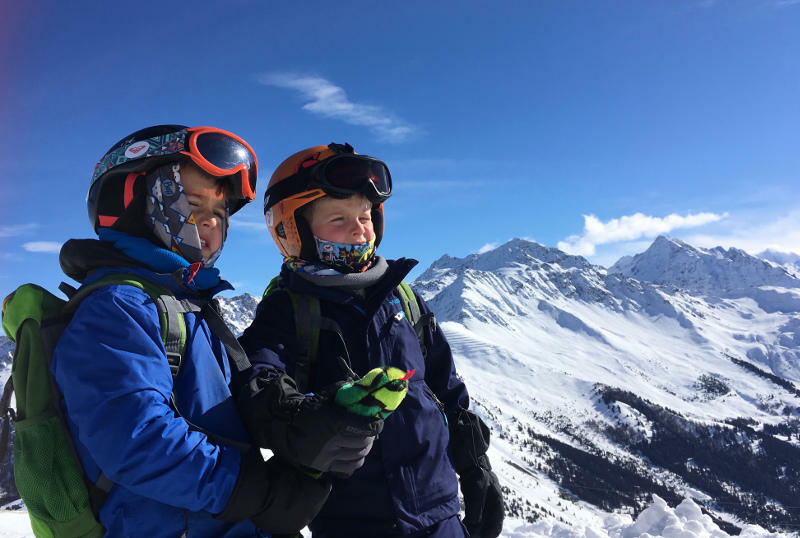 As the first link in the chain that connects the movement your body makes through to your skis, boots are arguably the most important piece of equipment you will buy. They are also usually the first piece of equipment a skier moving on from rental equipment should purchase. Here is our guide to making the right choice. In today’s world of on-line browsing, you can find a far larger selection on-line than you ever would in any shop. Here’s the problem though, if they don’t fit well, you will spend the whole day in discomfort and pain. Go into a ski shop and speak to the staff, who will be trained in how to size you. Try on as many pairs as you can. When you find one you like, keep it on for a while, walk around in it. See how it feels 15 minutes later. Trying boots on isn’t something you should do in a hurry. If you rush, you are less likely to get it right. Do it on a day when you haven’t got to get somewhere else soon. Traditionally skis boots weren’t as well insulated as they are now, thick ski socks were a necessary way of life. Those same socks in modern boots can make things a bit sweaty and cramped. 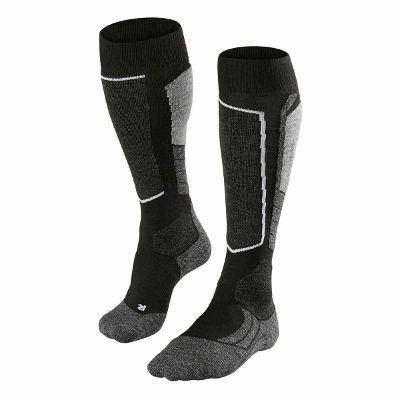 Invest in more modern thinner socks and wear them on the day you try your boots out. 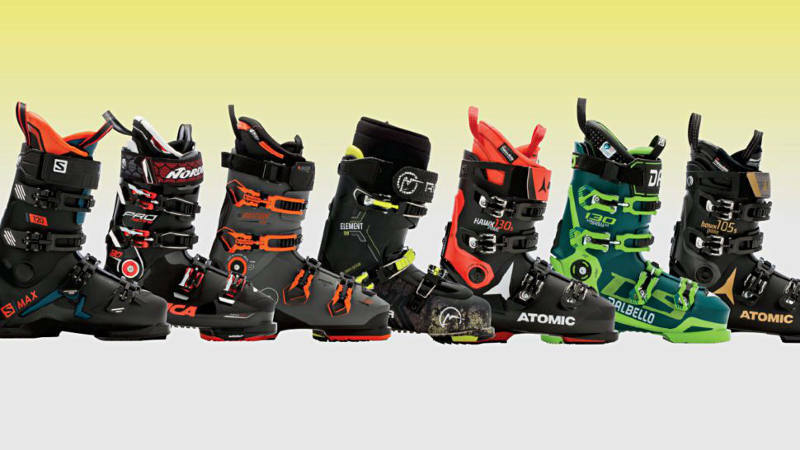 Ski boots are designed to provide stiffness and control but also flexibility at the ankle joint. A boot’s ability to flex in this manner is graded usually between 50 to 150. A lower number meaning greater flexibility. As a rule of thumb a higher number that provides more stiffness and control tends to be favoured by more advanced skiers. For example; a racer might favour something upwards of 120, whilst a beginner will prefer the room for error that a softer boot of 70 or so provides. 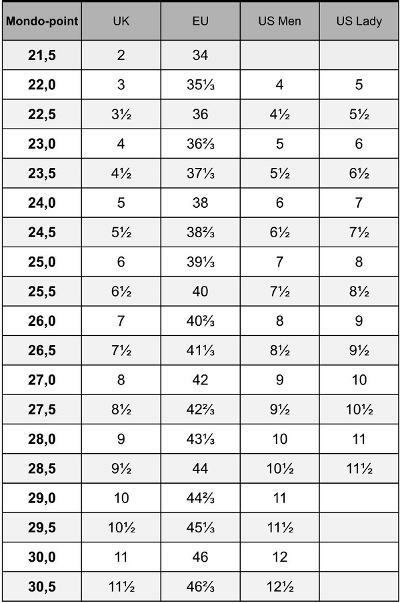 Most intermediates looking to buy their own boot are likely to get on best with something in the admittedly large 75 to 110 range. Often, when in resort, it’s possible to rent the same model you are considering buying. If you can do this, take advantage of it. Weight also comes into the equation. A heavier person exerts more pressure on the boots than a lighter person of the same ability and may accordingly need a lightly stiffer boot. Women also tend to have a softer ideal flex than men. Your boot will also be slightly softer in a warm shop environment than it will on the mountain. Sure those blue boots may look epic with your new pants, but is it remotely suitable or comfortable? Try to make appearance to one side. Whilst we all have a vain side to some degree, your boots looks shouldn’t be the main factor when choosing them. Sales people have an agenda. I know as I’ve worked in a ski shop. At the end of the day, they are trying to sell you a product of some description. Yes they want you to be happy with what you buy, but more importantly, they want you to buy. Listen to their advice, but at the end of the day, If it doesn’t feel right to you, trust your instinct. You probably don’t ski like Bode Miller. Be honest with yourself, what kind of slopes do you spend most of your time on? Are you actually launching off the pro line in the park, hiking the back country or cruising the blues? Choose equipment that help you do what you like to do better. Ski boots are often confusingly sized by how many centimetres long your foot is from your heel to the end of your longest toe. This isn’t the be all and end all, any shop salespeople worth their salt, will easily convert this into an approximate UK or Euro size for you. But it can help/speed things up to know. To Foot bed or not to Foot bed? I respect swear by them. Definitely worth considering if your budget will stretch that far, but don’t fret to much if you don’t. Whilst we all know that ski boots are not the most comfortable things you will ever wear. Many people have unrealistic expectations of how cosy and relaxed their feet should be. After a few days of being worn, the foam in the inner liner will become compressed and create more space inside the boot. If this space is too much, your foot will move around, creating problems ranging from bruised toes/shins, cramped arches from over tightening and less control over your skis.